Greetings & Salutations New Member! On behalf of the entire Hogwarts Online Community, I would like to warmly welcome you to our forum. To become a member, click here. Follow the instructions there in the Admissions Office to complete the registration process. Do not use the green "Create Account" button. If you have any questions throughout the registration process, please feel free to contact me via email at cclemenceau@hswcw.com. With each passing year, the generation that grew up with Harry Potter and helped build Hogwarts Online gets older. We have seen countless brilliant faces pass us by as people have grown up and discovered the many complexities and responsibilities that come with adult life. While we are always happy to see success in others, it is also sometimes a painful goodbye as people find they have less and less time for role-playing online. Still, Hogwarts Online, and indeed all role-playing sites are important safe havens for many people, especially those who desperately need to escape the pains of everyday life. 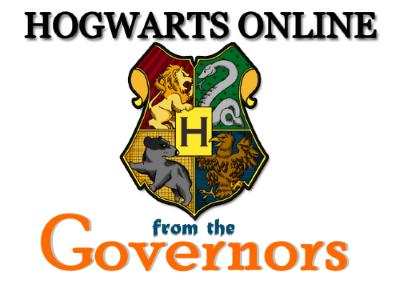 To that end, the Governors and I want to introduce an affiliation program to Hogwarts Online for the first time in our history. This will allow us to create a larger, stronger community without any sense of split loyalties or competition. Together we will continue to build a space for those like us to come together and celebrate the joy that Harry Potter has brought us all. Look forward to seeing this new area on the forums.